Your little one will love the Bible Time Hannah and Child Plush musical plush toy from Cuddle Barn. 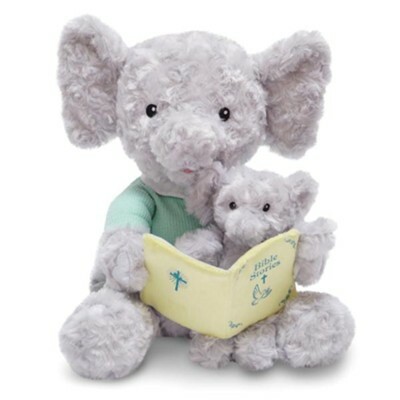 Perfect for babies, this interactive plush Mama and baby elephant reads 8 Bible stories aloud, from Moses to Jesus' life, and sways along with the story. This plush also plays the melody of "This Little Light of Mine." Measures 12 inches, super soft plush. I'm the author/artist and I want to review Bible Time Hannah.